Have you heard of Dodgers Dugout? 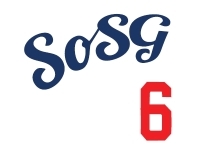 Not to be confused with Robert Timm's fine site that was born around the same time as SoSG, Dodgers Dugout is the LA Times' Dodger newsletter written by Houston Mitchell (in NYC his name is pronounced "Howston Mitchell"). Are you a Dodgers fan? 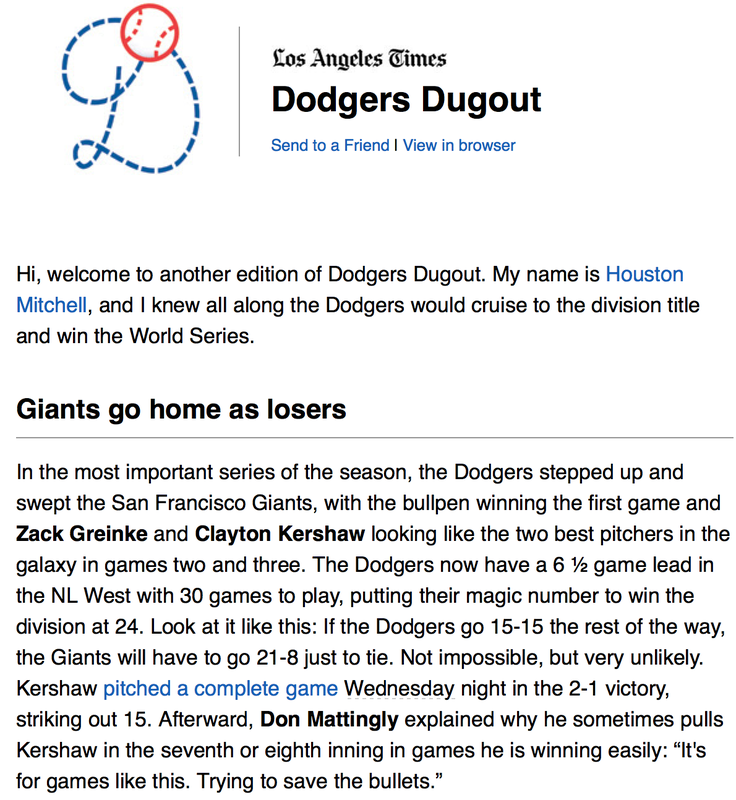 Sign up for the new Dodgers Dugout, a free email newsletter from the Los Angeles Times on all things Dodgers. Click here to sign up. 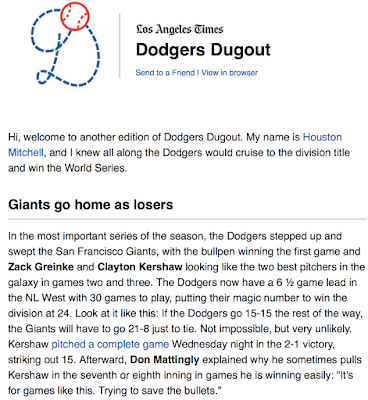 A fresh newsletter usually comes out at the start of every series the Dodgers play. Now would be a good time to jump on as the boys enter the stretch run. Click here to see the online version of the latest edition and to subscribe.